Listerine Smart Rinse is a post-brush mouth rinse that shows the particles of food and plaque that were left behind after brushing. Because this product is especially aimed at showing children how best to brush, a 5-year-old girl was enlisted to try the Mint Shield Smart Rinse. She also reviewed Agent Cool Blue. The bottle of Smart Rinse is very user-friendly. The child was able to open and measure out the recommended 10 milliliters (2 teaspoons) of the rinse. She carefully began to swish the rinse around her mouth. While she normally doesn't like strong minty flavors, she was able to continuously rinse for the required one minute. Instead of letting the rinse go down the drain, the drain was closed to allow inspecting the rinse for the leftover particles. When she spits out the mint green rinse, bits of dark green (plaque and food particles) were scattered throughout. It's gross, but it helps reinforce the importance of healthy brushing habits and shows that brushing is completely ineffective if done improperly. Following her initial use of Listerine Smart Rinse, she was enthusiastic in toothbrushing. She was very eager to use her own mouth rinse and demonstrated a level of independence new to her. The only downside to Smart Rinse is that you can't eat or drink for at least 30 minutes after use. The girl doing the test likes to have a big drink of water after brushing her teeth. The first few uses were a struggle to avoid water, but with time she recognized that she needed to wait to have a drink. 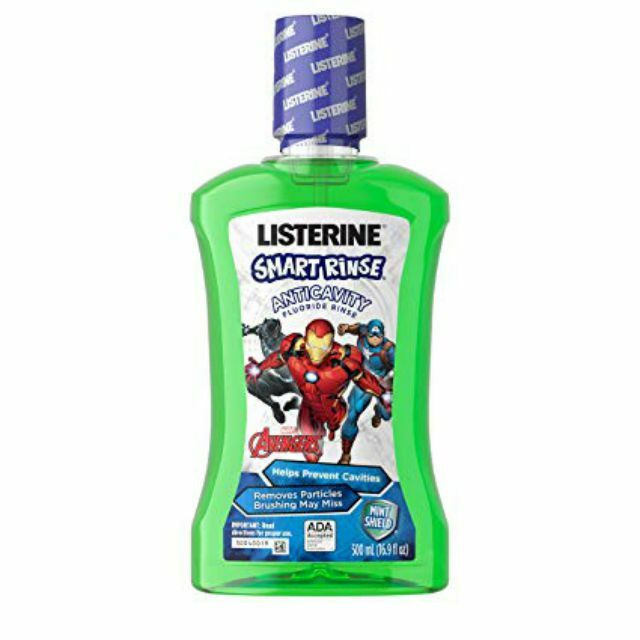 If you struggle to get your kids to brush their teeth and you wonder whether they are doing a thorough job, a product such as Listerine Smart Rinse can be a good way to make the task more interesting. When your child gets immediate, visible feedback on how well he is brushing, he is more likely to do better at it. You may also benefit from using such a product to see if you've been brushing right. How Does Listerine Mouthwash Stack Up?